The Association for Computing Machinery (ACM) has named Dr. Nicholas Bowen, industry professor in the systems & software division at the School of Systems & Enterprises (SSE) at Stevens, as a 2015 Distinguished Engineer, one of just five ACM members to be honored with the Distinguished Engineer award this year. As part of the ACM Distinguished Member Recognition Program, initiated in 2006, Bowen joins an elite group of individuals from leading academic institutions, as well as corporate and national research laboratories who have made significant accomplishments or achieved a significant impact on the computing field, and have helped enlighten researchers, developers, practitioners and end-users of information technology throughout the world. Bowen came to Stevens in 2015, following a distinguished technical career at IBM, spanning over three decades. At IBM, he was recognized with numerous awards and recognitions for his knowledge and leadership while managing several critical projects - leading the creation of the Linux & Intel server market, leading the team that took AIX/Power to #1 market position, leading the software team for several of IBM’s worlds fastest computers (e.g., blue gene), undertaking the technical multi-system work that helped save the mainframe business, and creating a $1.4b appliance business, including all the industrial engineering work to build a new supply chain, manufacturing plants and field support. Thanking ACM for the prestigious award, Bowen said, “I am honored that IBM gave me the opportunity to work on five major projects that ultimately defined the server industry, and led me to receiving this award. I am even more fortunate to have been able to work with so many world-class engineers on these projects." 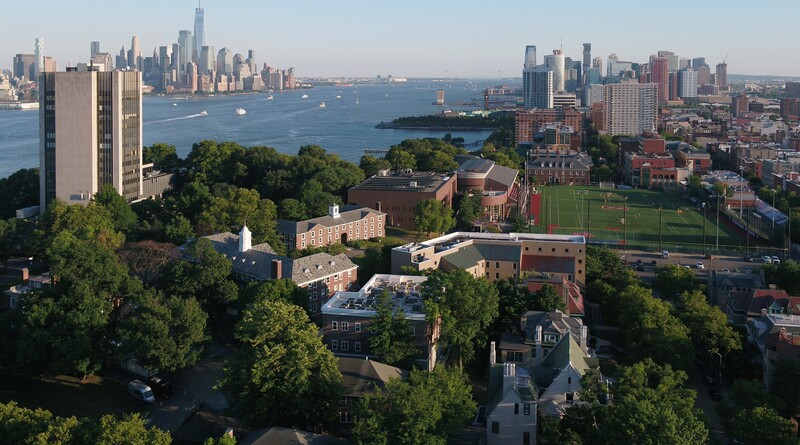 At Stevens, Bowen plans to advance the frontiers of technology and engineering by developing new graduate programs in cyber-physical systems. These programs provide engineers with the skill and knowledge to design and manage high-confidence complex systems, with a focus on bridging the cyber-world of computing and communications, with the physical world of humanity and the Internet of things. “Bowen is a valued new addition to our faculty. His expertise in all facets of technology is outstanding, and he brings a wealth of knowledge and “real” world experiences to our students,” said SSE Dean Dinesh Verma. In addition to the five Distinguished Engineers, the ACM also announced two Distinguished Educators and 42 Distinguished Scientists as 2015 Distinguished Members. These Members hail from Argentina, Belgium, Canada, China, Egypt, Finland, Hong Kong, Japan, Portugal, the United Kingdom, and the United States. Areas of specialty of the 2015 Distinguished Members include curriculum design, systems design and architecture, critical systems security, Internet structure and security, high performance computing, human-computer interaction, programming languages, mobile and wireless networks, database management, and software engineering. “For each of our 100,000+ members around the world, learning about the achievements of their peers means connecting to new advances and promising research. For the general public, our recognition and awards program serves as a reminder that the technology we all take for granted springs from a dedicated community of professionals who are building on the foundations of their predecessors and shaping the future in significant new ways," said Wolf.